The Renault Clio, Peugeot 208 and 308 remained the best-selling car models in France in 2016 according to car sales statistics for the full year. The Dacia Sandero had strong sales in France in 2016. Two new models with a strong entry into the French new car market were the Renault Mégane IV and the Renault Kadjar. The VW Polo was again the favorite imported car model of the French with the Toyota Yaris the top-selling Japanese car in France. There were only very minor changes in the composition of the list of the ten best-selling car models in France in 2016 compared to a year ago. The five top-selling car models in France remained unchanged from a year ago with the top two unaltered for the fourth consecutive year. The Renault Clio IV easily remained the favorite car of the French in 2016. 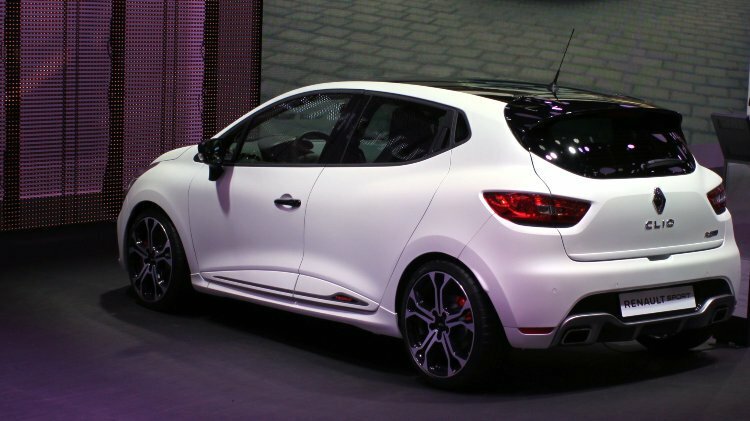 The Clio has been France’s favorite car for years with the fourth series the top-seller since its introduction in 2012. Sales volume has increased annually with 2016 the strongest by far – around 4,000 more than a year ago. The Peugeot 208 has been the second most popular car in France since its full year on the market in 2013. Sales in 2016 set a new record for the model and around 7,500 higher than a year ago. Sales of the Peugeot 308 II were flat and of the Renault Captur weaker than a year ago. Peugeot 2008 sales were somewhat stronger for the model’s best sales numbers thus far. The Dacia Sandero was the best performer amongst France’s favorite car models both in terms of rank position and sales numbers. Dacia Sandero improved from 9th to 6th – a position it last held in 2013. Sales of Dacia Sandero cars were up by around 11,000 cars over the year. Sales of the Citroen C3 were down but the model maintained its relative rank position ahead of the Renault Mégane IV – a new model on the market and a new entrant on the list at 8. The Renault Mégane was the only new entrant on the top-ten list. Despite weaker sales, the Citroen C4 II Picasso moved up one position to ninth. The Renault Twingo slipped from 8th to 10th. The discontinued Renault Scenic III was the only car to drop off the top-ten list of best-selling car models in France in 2016. The 11th to 20th most-popular car models in France in 2016 saw more changes although the list started with the VW Polo at 11 for the third consecutive year. The VW Polo has been France’s favorite imported car model ahead of the VW Golf for years. The new Renault Kadjar entered the list at 12 on its first year on the market. It instantly became the top-selling SUV in France. The Dacia Duster maintained its 13th place while the VW Golf and Toyota Yaris each moved up one rank position. The Yaris has been the best-selling Japanese car model in France for the past four years. The discontinued Renault Scénic III slipped from 7th last year to 16th. The new Scénic IV entered the 2016 statistics at 75th with 7,200 sales. The Peugeot 3008 continued its decline and slipped from 14th to 17th – it was in the top ten list in 2013. The Nissan Qasqai slipped one position. The Ford Fiesta was the 19th most-popular car model in France for the third consecutive year. The aging Citroën C4 II rounded out the list at 20th – the C4 II was first introduced in 2010 and was the 4th most popular car in France in 2012. The two cars dropping of the top 20 list were the Fiat 500 – from 20th to 23rd – and the discontinued Renault Mégane III – from 12th to 74th.